BL-Touch, needed on new FT-5? Personally I don't think you can go wrong with the mirror tiles, but if later on you change your mind and go with the borosilicate glass plate instead, how much money will you have lost on the mirror tiles? And you could always stick them to the interior of your enclosure for better viewing. As for the clips, they seem nice and there are loads of similar ones on Thingiverse and other places. I saw some that had a bit of springiness built into them, which makes sense to me, but I have lost the link. Sorry. Seriously though, you might want to consider doubling up the corner bearings on the bed support plate. Even though you have the two sides sync'd together with the R2 setup, front-to-rear deflection is still a potential concern. Doing that solves that particular problem nicely and simply. sorry for the late reply, been super crazy busy. Yes, the mirror tiles will take the heat. I have run mine up to 100C before with no problems, but since I changed the bed heater on my SD4s I don't typically need to go that high anymore - 90C usually gets the job done - I wish the maker of this bed heater would make larger sizes.. =P it would be fantastic on the FT-5! What does doubling up the corner bearings mean? The bearings on the slider 8mm bars? What I was referring to is shown below. It is a virtually painless upgrade that only takes a few minutes per rod and only entails the cost of four extra linear bearings (the same ones already on the corners, available from many sources) and longer screws (25mm for three corners and 35mm for the fourth if using a Z-stop switch bracket such as mine). Re-orienting the upper bearing so that its flange is below the support plate gains some top end travel (especially if you run a stock extruder and hot end). OK, you do lose a little bit of travel on the far bottom end, but it is minimal. Notice my 1/4" thick aluminum heater plate. And you can see one of my over-temp switches (for those who know about my auto power down conversion) and the edge of a mirror tile. Like the KFL8 on the other hand comes with the screw holes.. I assume that you are referring to the four hole flange? If so, LMF8LUU is the model you are looking for. It has the linear bearing and flange all in a single machined assembly. You want the "longer" version of the bearing to get the maximum distance from top of the stack to the bottom of the stack. 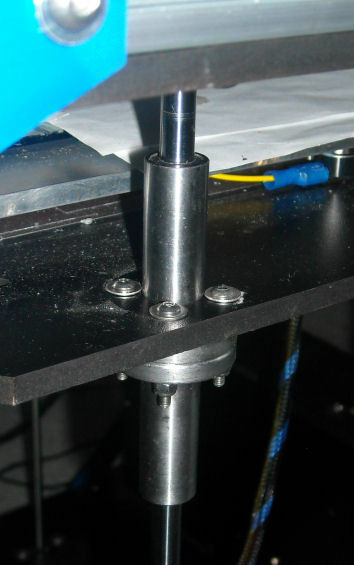 That makes any play in the bearings have far less effect angle-wise on the plate and also makes it much more difficult to deflect the rods themselves. They are very inexpensive, no matter the source. 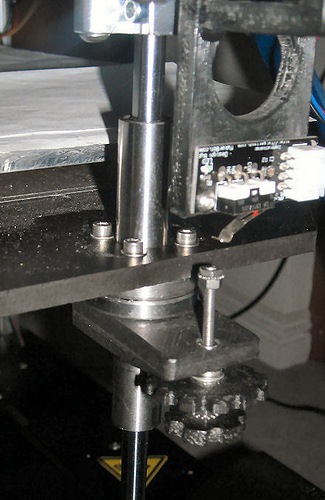 For less than $10 you can greatly stiffen the front-to-rear axis of the support plate without resorting to pantographs or quad lead screws (which to be perfectly honest I was considering until I tried this). Side-to-side you already have covered with the belt setup and single motor on the R2 model FT-5's. That is the model I posted the LM8FLUU? I was wondering why no other places have the "hole flange"
I did see them on the folgertech site though so I guess I'll go there. A tiny bit dyslexic perhaps? If you go to the links I sent you will get the right bearings. I corrected my last posting. Yea ebay looks more expensive. Yeah, not everything on eBay is cheaper. Actually, I bought mine from RobotDigg as part of a much larger order. But if I were buying just them to do the conversion (and assuming they are in stock, which hasn't always been the case), I'd buy them from FolgerTech (which goes by the name "sidewinderinc" on eBay actually). If you order them from FT, be sure to get the longer screws from them too. They have a pretty good price for them. BTW, you may notice that I used socket head cap screws for the longer ones. It was just because I ran out of 35mm button head screws and happened to have them on hand. Either type will work fine. Yea I have probably 100 extra screws or more. I saw a all the old posts about missing parts I think they just throw everything extra in the new kit because I had a lot of stuff extra. lots of extra wire too. Then I wanted to try PEI sheets... well, new complications. PEI has a reputation for liking PETG filaments a little TOO much, and PEI prints might not come off at all if you have the squish a little too much. So, I got several glass sheets and put PEI on one of them. 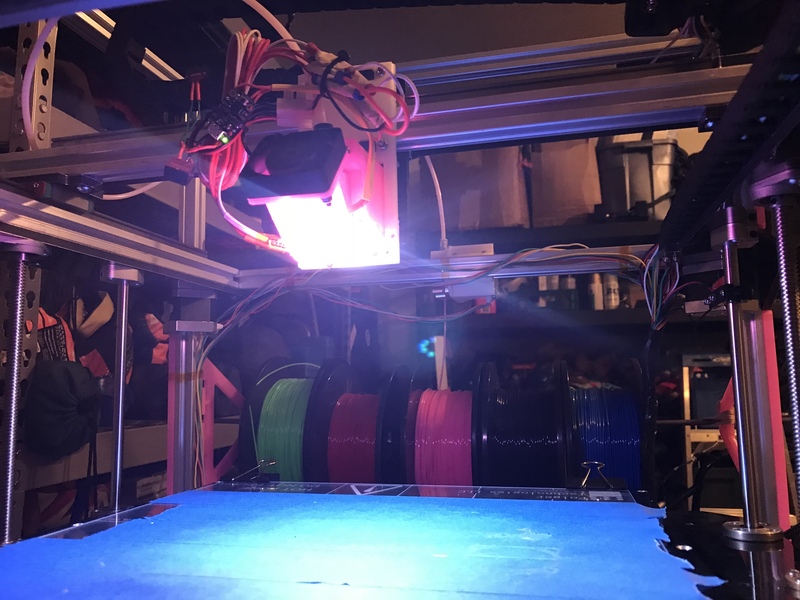 That makes the sheet thicker, so switching between PLA and PETG now meant a bed readjustment every swap. Not necessarily a re-level (I have one Z motor), but a Z stop adjustment at least. Then there is the OCD factor -- wondering whether the bed if still flat, even if you didn't change the glass. Because it still needs to be readjusted from time to time and that "time" isn't fully predictable. So, enter the BLTouch. Change the glass or don't change the glass. Bed slope changed a little or it didn't. Neither matters anymore. Just click the print button and go. That makes it worth it for me. Necessary, no. But fewer screwed up prints from something going wrong (was it the bed leveling? Maybe....?) can really be a good thing. 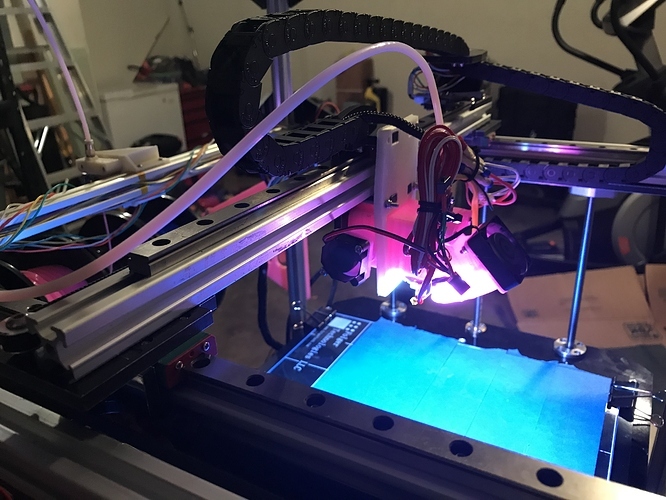 [Edit: If you do want to have easily swappable glass for different height reasons or to have one prepped and ready to go as a print ends, so you can work through cool-down times, a great way to do it is with silicone sheet. Just wanted to chime in with my experience with the use of Borosilicate Glass and Mirror Tiles. 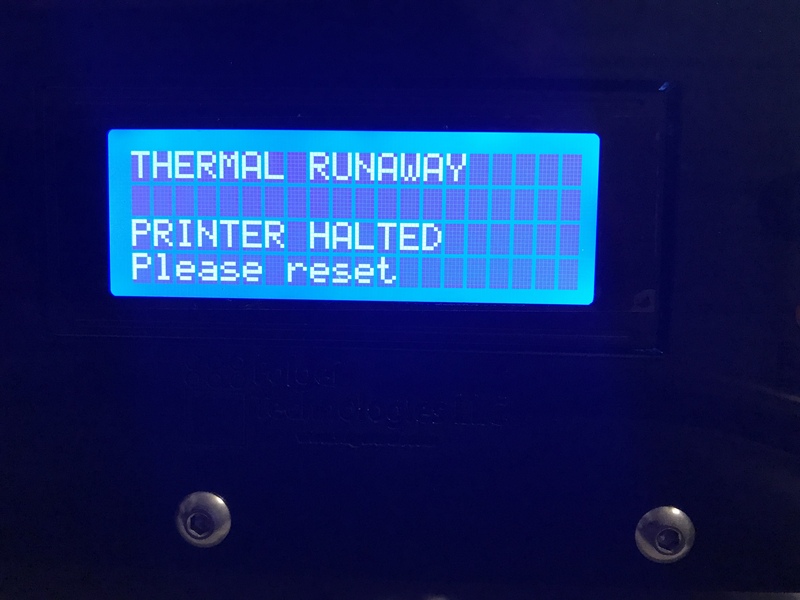 When I got my first printer (FT Kossel Rev. A) It came with an aluminum bed. There was nothing flat about this surface. I got a 5mm thick round piece of Borosilicate Glass and have been using the same piece for years. It is perfectly flat. Next, I got the FT Cloner at launch. I had the same issue with the aluminum bed as I did with the FT Kossel. I ordered 2 pieces of 3mm thick Borosilicate Glass to put PEI on one and use the other with glue. Both were perfectly flat. This printer is now in pieces as spare parts. That's a whole other story. This brings me to the FT-5 R1 and my first experience with mirror tiles. I bought a pack of 12" x 12" mirror tiles from Home Depot. I wanted to stick with the Borosilicate, but at that size, it's pretty costly as I wanted the 6mm thick stuff due to the size. I had nothing but issues with the tiles. I found 1 that was flat in the pack. I installed my PEI on it and went to town. I had to be very careful where I put the binder clips as they would warp the mirror if put in the wrong place. I finally got fed up and sold a kidney to buy a piece of 300mm x 300mm x 6mm Borosilicate Glass. I was very careful and asked questions from multiple sellers until I found one that both had ground edges (less prone to cracking at the edge) and guaranteed it to be flat. It came and is perfectly flat. I have been using this piece for months. Maybe if I got a thicker mirror in the first place, this would not have been an issue. But when talking about mirror tiles, we refer to the ones you can buy from the hardware store. Maybe I got a bad batch, I don't know. But I know EVERY piece of Borosilicate Glass I have ever bought has been flat. I'm not trying to say you are wrong @heartless, but this is my experience. Can we still be friends? The mirror tiles I bought from Lowe's are extremely flat (except for when I used a very soft "Sil-Pad" silicone heat sink pad under them and heavy paper clamps at the edges ). Their edges are rather sharp though, and could be a potential safety concern. Maybe I'll put the silicone pad back but not use the clamps this time. Yeah, that's the ticket...... (with apologies to Jon Lovitz). In a world where I had money to burn I'd have two or three pieces of borosilicate glass to swap out instead of mirror tiles, but honestly the mirror tiles are working quite well for me (at least the particular ones I purchased). The only reason I am considering an optical sensor (of my own design) for a sort of "BL-touch" function is precisely because I am tired of having to re-do the Z-stop adjustment every time I change mirror tiles, or just about anything else for that matter. My hope is to make something that adapts automatically without any operator intervention, eliminating the Z-stop switch except perhaps as a last-ditch motion safety. I was working on a crazy idea using the nozzle tip (as people with Kossels have done) but I ran into some mechanical issues and so I put that aside for a while. However, with the double bearing mod and sync'd Z motors I really don't feel a need for mapping the entire surface. Just my $0.0000002 worth for what little that may be worth. You guys are great thanks for the info. With your suggestions I opted out of using a BLtouch and got some other upgrades. I got a E3D V6 hotend and a Neopixel ring to light up the area. This is an amazing upgrade and I’m very happy with the choice. Thanks for the heads up guys. Here are a few pics of how it turned out. your problem is in using binder clips, silly. I use the Aqua Net hairspray to "glue" the mirror tile to the bed - no binder clips needed. and it can be removed when cold by simply slipping a putty knife in between and sliding it around the outer edges giving a slight twist as you go. i highly recommend these, they work great and no clearance issues or lost print area! Thanks Paul those work really well!